The names of the respective value lists have also been changed to those indicated above in order to reflect their content (see the listing of value lists, Value Lists for Codes and Controlled Vocabularies). The Library of Congress, Network Development and MARC Standards Office provides information about existing and newly assigned source and value codes on its Web site. Lately I've had technolust for an ebook reader. This is something I can resist, but it does make me more aware of the market. I've played with the Nook when at B&N. Checked out the Sony at Boarders. Now another player has entered the market, the Nintendo DS. A new offering for the DS is 100 Classic Books. I can't see reading books on a DS, maybe the DS XL would be better, but some people do read books on phones and those screens are even smaller. And many people already have a DS, so maybe adding a few books to the game mix would work for some people. My DS already is a Web browser, MP3 player, notepad, and camera, as well as a gaming platform. Books would be just another part of the mix. I do think I'll still keep looking for a perfect e-ink reader. Might be years. Any libraries planing to buy 100 Classic Books for their collection? 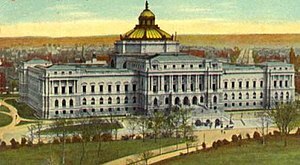 Omeka now offers Simple Vocab and Library of Congress Subject Headings Plugins. We’ve written two plugins for administrators who want to make data entry easier and more reliable. With the Simple Vocab plugin you can define a controlled vocabulary for any field using a simple interface. It even helps you build vocabularies using texts that already exist in your archive. The Library of Congress Subject Headings (LCSH) plugin adds an autocomplete feature to your Dublin Core’s Subject element, pulling results from Library of Congress’ considerable database of subject headings. Happy data entry! The 2010 Midwinter MARBI Meeting minutes are now available online. There will be a free NISO teleconference covering the recent ISO meeting. Recordings of past teleconferences are also available. Please join us on Monday, June 14, from 3-4 p.m. (eastern) for a free teleconference where NISO Managing Director, Todd Carpenter, will give a summary of the May meeting in South Korea of the International Organization for Standardization (ISO) Technical Committee 46 on Information and Documentation. Three of the TC46 subcommittees also met in Korea. NISO is the Secretariat for SC9, Identification and description, where many of the most widely used standards in our community (ISBN, ISSN, ISMN, ISTC, etc.) originated. There are a number of international standard development projects underway that are of interest to the NISO community, including the DOI system, a two-part thesaurus standard, and the International Standard Name Identifier (ISNI), to mention a few. This teleconference is a great way for you to get a synopsis of everything that is happening in ISO TC46 and ask any questions. Gary Price from Resource Shelf alerted me to the study FRBR and RDA: Advances in Resource Description for Multiple Format Resources by the Initiative for Equitable Library Access of the Library and Archives Canada. The multiple formats issue has been a challenge that current cataloguing standards were unable to resolve. This paper describes the multiple formats issue and demonstrates how the issue is resolved through a new pespective on bibliographic data and a new cataloguing standard. The new perspective on bibliographic data comes from the conceptual model, Functional Requirements for Bibliographic Records (FRBR). The new standard is Resource Description and Access (RDA), which is built on the theoretical framework expressed in the FRBR conceptual model. RDA and FRBR, the conceptual model on which RDA is founded, resolve the multiple formats issue and point the way for improved access to resources for all users, and particularly for users with print disabilities.